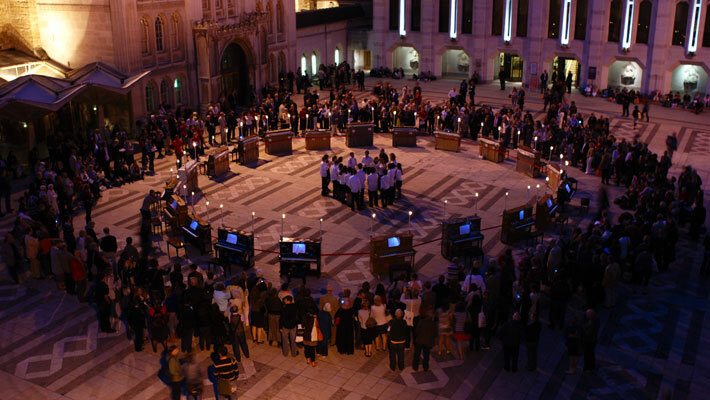 At dusk on the 21st June 2010, the public gathered outside the Guildhall, London to wait for a magical performance. 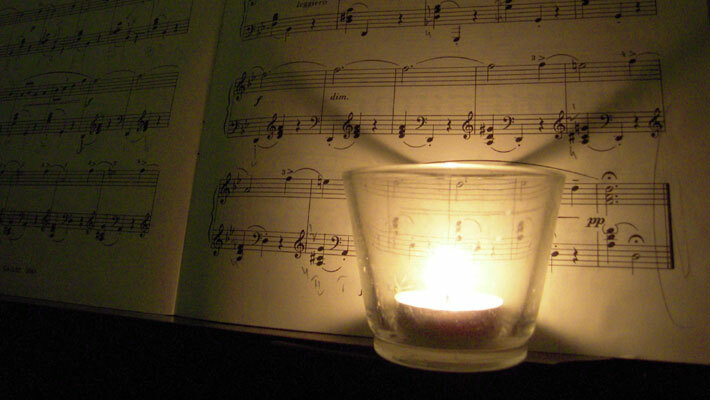 Lit by candlelight, 21 pianos and 21 pianists, were arranged in a large circle. Inspired by Chopin’s life and his 21 different Nocturnes, composer Richard Causton wrote the music for this new performance artwork. The Guildhall in London was the last place that Chopin performed in public, back in 1848. Elements of the music were passed from one piano to the next both around and across the circle. Creating a vast chorus of sound. 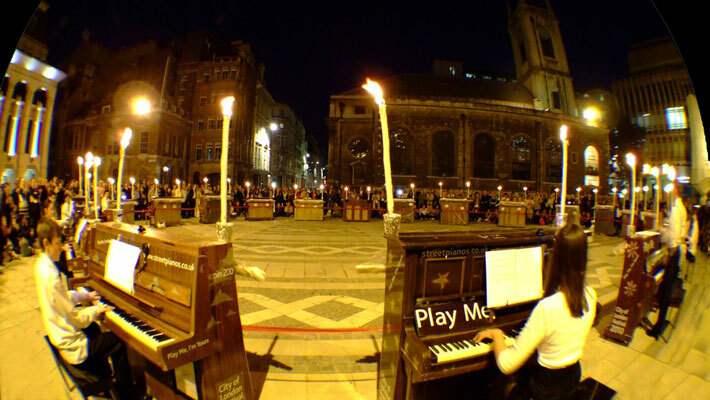 At times all 21 pianos playing at once, . 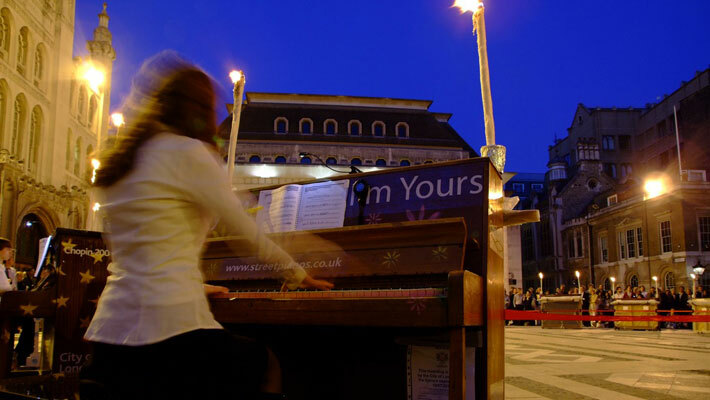 “The giant circle of pianos can almost be considered as a new musical instrument in its own right. At any given moment in time, with 21 pianos, each with 88 keys, there are 1848 sources of sound available for Richard to choose from!” says Jerram. The 21 Piano Nocturne was commissioned by The City of London Festival and the Polish Cultural Institute, London for Chopin200 which celebrates 200 years since Chopin’s birth.